I am doing a little research project... A user posted on Technet asking about converting his HDD to dynamic so that he could create a software mirror. He may have received some bad advice about it... Anyways, that's not what MY problem is. As I tend to do, from time to time, I will try to recreate a scenario to determine if I can solve it for myself. Such projects have not always ended up so that it is helpful for others. 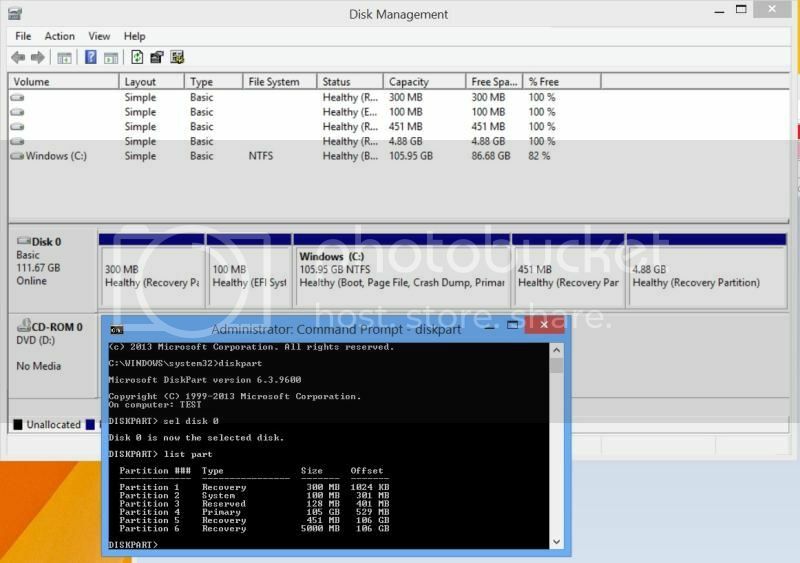 The disk could not be converted to dynamic because security is enabled on one or more partitions. I tried to research the error that Disk Management gave me, but found only 1 (true) result... but it was unresolved. Maybe someone here has an idea about what "security" is enabled? Trip, is the actual hardware a desktop or a laptop/portable? At least in earlier versions it was NOT possible to convert an existing disk to dynamic on portable computers. Also, I am failing to see the point of the experiment if you have just one disk connected. My experiment was to see if I could convert the disk to Dynamic, and then determine a way to either convert it back or boot off of it. I ran into some problems, I don't expect you to read through that whole technet thread... I ran out of time to work on it myself, perhaps I will try something in the future. OH! Yes, I did also test on a notebook. I found from another that Disk Management is supposed to give this message, to block you from converting the disk your boot volume is on to Dynamic. The obvious reason for this is Windows does not boot afterwards. What is curious (presuming it is true) the other guy did not get blocked from doing so in Disk Management. - cannot run recovery as it says the partition where Windows is installed to is locked. - it created a 1MB partition called Dynamic Reserved. It does not contain a volume. - the recovery partition (location of recovery image) now shows RAW as the file system. - Diskpart cannot create or remove partitions on a dynamic disk. Technically, you can boot an OS in this config... but it is the WinRE. BCDEdit and BCDBoot both generated errors when I tried to change the default boot location. So it may actually be possible to have Windows 8.1 on GPT booted in UEFI mode on a Dynamic disk working... Sure there would be no reason to do such a thing, but I think it would be very difficult to do it by converting an existing installation. @verachen, no need for data backup. I can do experiments without this worry!